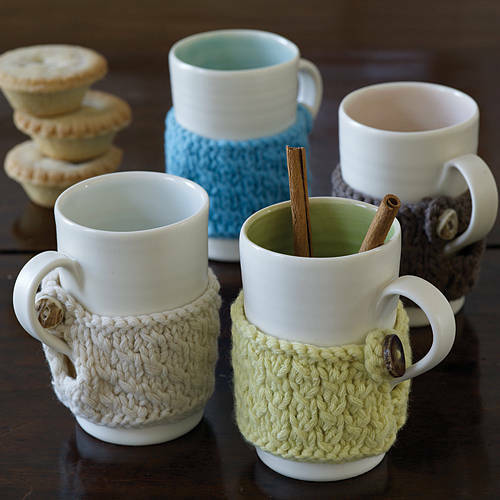 Hand-thrown porcelain mug ny Linda Bloomfield with hand-knitted mug cosy by Ruth Cross. 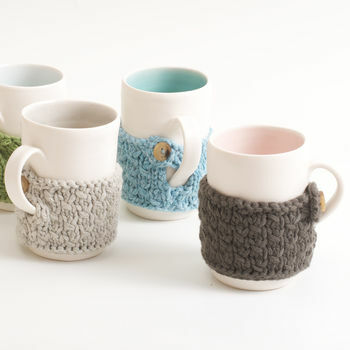 The mugs have coloured interiors which complement the cosies. 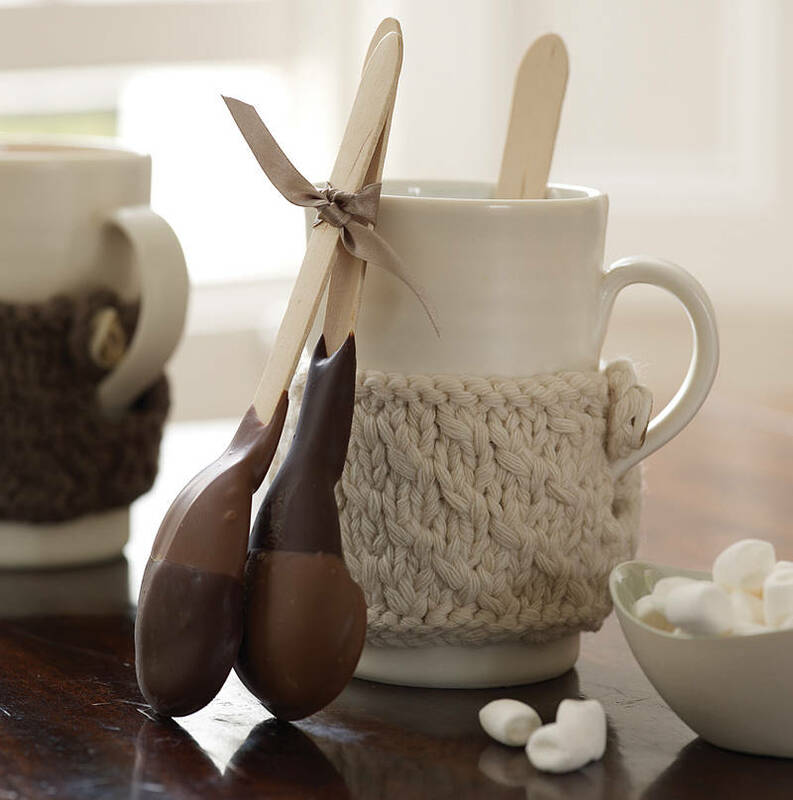 Porcelain wrapped in soft lambswool cosy with a horn button. Handmade by Linda Bloomfield in her west London studio. 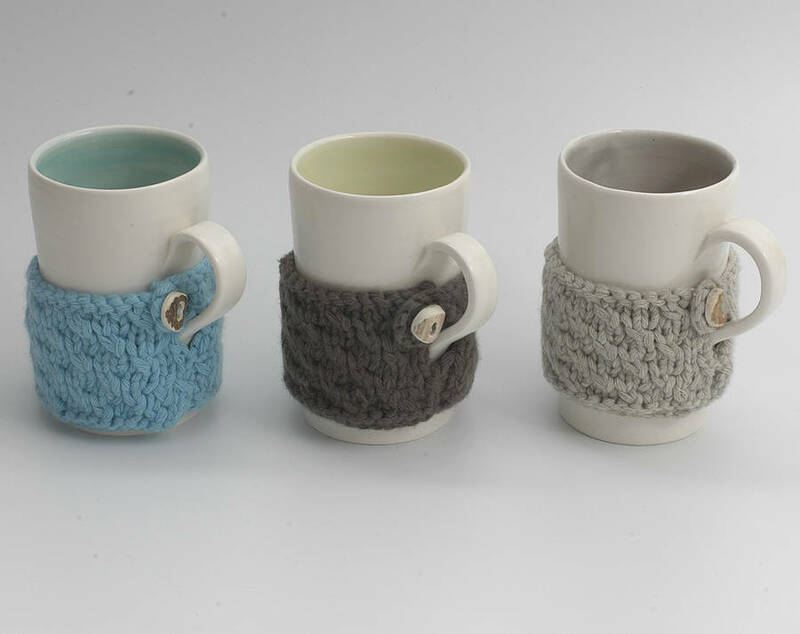 The mugs are thrown on the wheel and have a tactile satin matt glaze on the outside and coloured interiors which complement the cosies. The cosies are hand knitted in Britain from the finest Scottish lambswool. Tests show that these cosy mugs really do keep your tea or coffee warm for longer. An ideal present for gardeners or anyone in the habit of forgetting to drink their cuppa. As seen in Country Homes and Interiors. 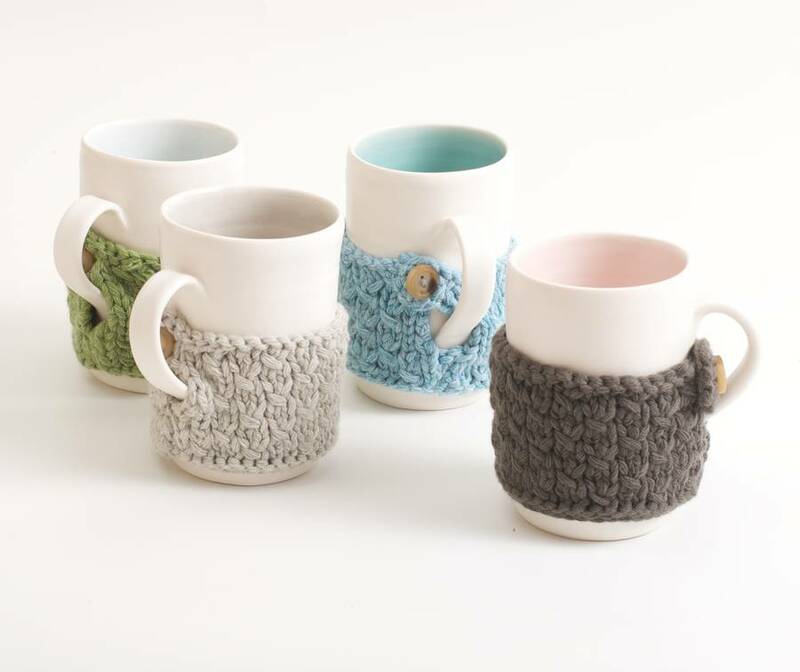 The mugs and cosies are available in a wide range of colours. Porcelain mug is dishwasher safe. 100% lambswool cosy is hand wash or dry clean.